Our large inventory means a quick delivery - standard assemblies are available from stock. JGB Enterprise offers a variety of Low Pressure Washer Hoses (1000 – 2000 PSI), High Pressure Washer Hoses (3000 - 6000 PSI), Very High to Ultra-High ressures Hoses (7000 PSI – 50,000 PSI). Click here for more information. Light weight and easy to handle, Eagle brand products are rated for pressures to meet your specific applications. 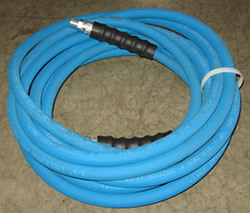 JGB Eaglewash® I Hose, one wire handles 4000 PSI at 310°F. 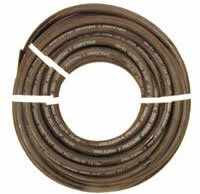 JGB Eagleflex® II Hose, 2 wire is rated for 6000 PSI at 310°F. JGB Eagle brand Pressure Hose is available in gray non-marking coverstocks. A unique cover compound gives JGB Eaglewash® I & JGB Eagleflex® II hoses the durability and flexibility to handle abrasion and normal cleaning chemicals used in the wash industry. JGB Blue Eaglewash® I Hose is specially designed for use on pressure washer machines with working pressures up to 4000 psi and temperatures up to 300°F. 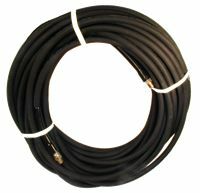 JGB Eagleflex® II 6000 Hose is specially designed for use on pressure washer machines with working pressures up to 6000 psi and temperatures up to 310°F and has a 4 to 1 safety factor. Abrasion-resistant cover prevents wear due to dragging. Chemical-resistant inside and out, to handle most of the detergents and chemicals used in industry today. High-pressure, one-wire braid takes up to 3000 psi - meeting or exceeding specs for virtually every pressure washer available. Insures worry-free installation in hot, cold or combo applications.